Mr. Axworthy is the author of the just published book, A History of Iran: Empire of the Mind (Basic Books). The only way to be sure of preventing Iran's acquiring a nuclear weapon capability is to reject those calling for military action--and to negotiate a comprehensive settlement of all outstanding disputes between Iran and the USA, such that both sides can resume normal relations on a basis of mutual respect at least, and friendship if possible. Military action could not, in any case, destroy an Iranian nuclear weapon program. The program could easily be dispersed to widely-separated, secret locations, that could not be seen from the air, and repositioned deep underground, so deep that even nuclear weapons might not destroy them, even if their locations could be hit. Supposing the facilities could be damaged, it is doubtful the Iranians could be deterred from reestablishing a nuclear capacity. Once the applied knowledge of how to enrich uranium has been acquired, it won't be unlearned. On the US side a serious policy of re-engagement and negotiation would mean overcoming (1) the legacy of the 1980 hostage crisis, (2) the impression created by Iran's support of groups like Hamas and Hezbollah that are committed to the destruction of Israel, and (3) the otherwise exaggerated hostility whipped up against Iran within the US since the Iranian revolution of 1979. On the Iranian side it would mean overcoming the resentment caused by the CIA-inspired coup in 1953 against the democratically-elected prime minister, the US support of Saddam during the devastating Iran/Iraq war 1980-88, and the destruction of an Iranian civilian airliner by the USS Vincennes in 1988 (with the loss of 290 lives), among other grievances. The fundamental problem with Iran is not that the Iranian government is stuffed with fanatics (for the most part, despite the rhetoric, Iranian foreign policy has been pragmatic, notably in helping to get rid of the Taliban and set up a democratic regime in Afghanistan), nor that it is hell-bent on getting a nuclear weapon (important Iranian religious leaders have declared that nuclear weapons, and all weapons of mass destruction, are immoral and unacceptable). The problem is the dysfunctional US/Iran relationship. If that were resolved, the other problems (nuclear, Iraq) would fall away. The Iranian regime is repressive, it abuses human rights, and its leaders have manipulated the democratic elements of the Iranian system with increasing cynicism to keep themselves in power (it seems that at various points they have also pursued a nuclear weapon program -- possibly in order to develop a capability, short of an actual weapon, that would still serve as a deterrent). Nonetheless, the US and its allies have friends (so-called) in the Middle East whose regimes are worse -- notably Saudi Arabia, whose state-supported religious and education institutions systematically inculcate the ideology that created Al-Qaeda; an ideology that has also inspired hundreds of hate-filled suicide bombers to kill coalition servicemen and Shi'a Muslims in Iraq since 2003 (a scandalously neglected phenomenon that has been much more destabilizing in Iraq than the much-trumpeted links between the Iranian government and the Shi'a militias there). Would the Iranians welcome a settlement of the dispute with the US? There is little doubt that ordinary Iranians would; despite the troubled history, there is still substantial pro-US feeling among ordinary Iranians. This showed itself after 9/11, when (unlike elsewhere in the Middle East) there were spontaneous demonstrations of support and sympathy in Tehran, with young people turning out on the street with candles. But surely the problem with Iran is precisely that the regime takes no notice of the people's wishes? In fact, the regime too has indicated an openness to talks with the US, changing the line followed up to as recently as eight years ago, that such talks were taboo. There have already been direct, open US/Iran talks about the situation in Iraq. And after Baghdad fell to the coalition in spring 2003, the Iranian government sent the US (via the Swiss government) a proposal for talks toward a 'Grand Bargain' that promised resolution of the nuclear dispute, and de facto Iranian recognition of Israel. The Bush administration ignored the proposal, and rebuked the Swiss for passing it on. Some voices have suggested that US military action would precipitate another revolution in Iran, or that support for armed separatist movements in the country could destabilize the country and produce a similar result. The latter policy, after the wars in the former Yugoslavia and the near-civil war in Iraq, seems foolish to the point of insanity. A range of observers, from Paul Wolfowitz to the son of the last Shah, from the dissident Akbar Ganji to the Nobel prize winner Shirin Ebadi, have warned against military action, favoring instead allowing Iranians to develop freer, more truly representative government themselves, without outside interference. 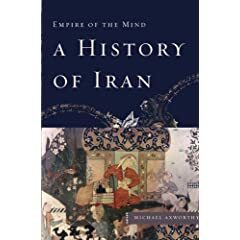 Any student of Iranian history, even after just a cursory skim through a book like Empire of the Mind, will quickly see why this must be so. The history of Iran over the last two hundred years is in part a history of increasing popular anger at foreign interference in the country, building on an ancient Shi'a Muslim aversion for the arrogance of power. The Iran/Iraq war showed the way that the majority of Iranians (even many of those who do not speak Persian as their first language) united behind a government that many of them disliked, when faced with foreign invasion. Many Iranians, including those who strongly dislike the present regime, feel that war marked the beginning of a new phase, in which the country could stand independently and reject the kind of foreign influence they had suffered earlier. Iranians, whatever their other political views, do not want to return to those earlier conditions, and most do not want another revolution either. Their memories of the last one are too vivid for that. Iran is an old country, with a pride in its history and culture that goes back more than three thousand years, and that culture has been influential around the world in ways that many Americans and Europeans today have simply no idea of. It is a culture that puts a high value on education and intellectual attainment. Due to rapid population growth in the years 1970-2000, Iran is also a very young country, and those young Iranians (thanks to the expansion of state education) are better-educated than any previous generation. Is that crucial generation of young Iranians going to be permanently alienated from Western values by ill-judged Western military action? Or will it be encouraged in its pro-Western instincts by a determined US policy of reconciliation that can draw the Iranian regime into a response in kind? My profound hope is that the next president of the US will choose the latter. The short answer is that electricity does not have to be generated by giant plants. It can be generated by large numbers of small engines, albeit at a somewhat higher fuel cost. A great many premises in the United States have diesel back-up generators, in case of power outage. I am sitting a hundred feet from one (a medical office building), and four hundred feet from another (a computer center). Such generators are manufactured in China and elsewhere, and can be bought as a regular matter. I expect that each centrifuge in the Iranian nuclear program would have its own diesel, of appropriate size. you say: Military action could not, in any case, destroy an Iranian nuclear weapon program. The program could easily be dispersed to widely-separated, secret locations, that could not be seen from the air, and repositioned deep underground, so deep that even nuclear weapons might not destroy them, even if their locations could be hit. Supposing the facilities could be damaged, it is doubtful the Iranians could be deterred from reestablishing a nuclear capacity. Once the applied knowledge of how to enrich uranium has been acquired, it won't be unlearned. This may be true, but you do not have to attack the nuclear weapon program, but the infrastructure of power generating plants that supports their weapons program. I sure there would be secondary effects in the general public use of power and you would have all their attention for sure to find a solution that we would be satisfied with. Such as a honest and proper inspection program.